Cut the mangoes into cubes, keep aside. 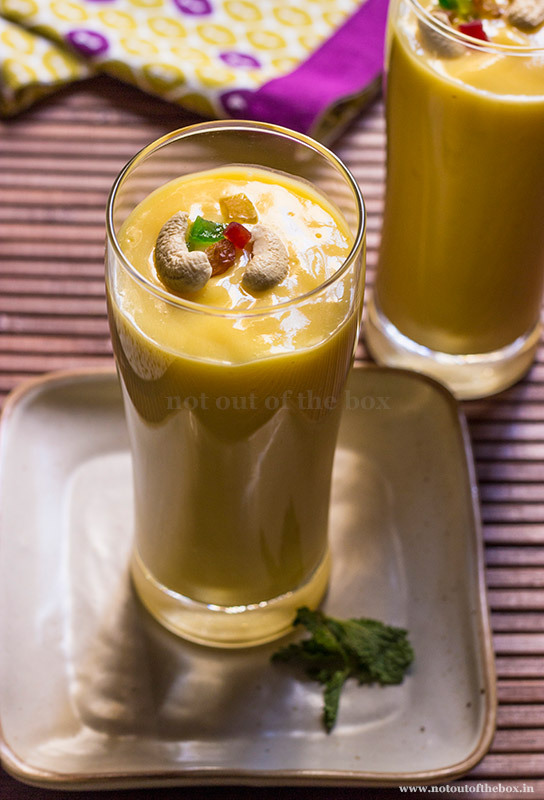 Add everything (except dry fruits) into a blender, and blend until smooth. 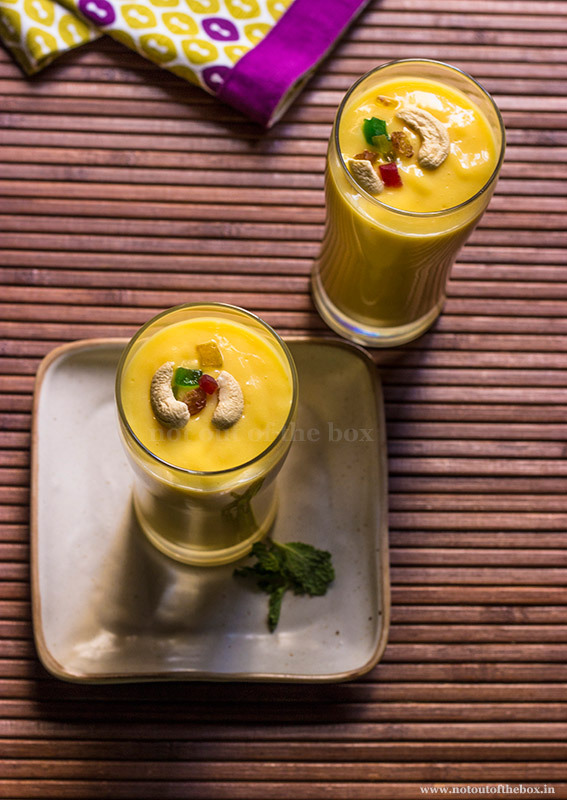 Your ‘Mango Milkshake’ is ready to devour. Pour this into glasses. Garnish with dry fruits on top. Serve cold or chilled, as you like. Ice cubes can be added at the time of serving too. You can replace the sugar with powdered jaggery or brown sugar for a healthier version. Adjust the thickness of milkshake as per your choice; I like my milkshakes a bit on thicker side. You can add more milk to make a thinner milkshake if you like.